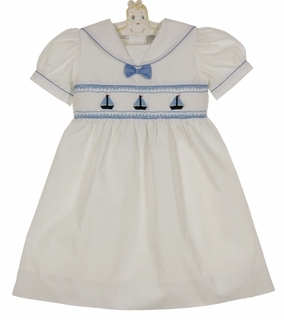 Made by Carriage Boutique, this is the sweetest toddler girls white cotton sailor dress! 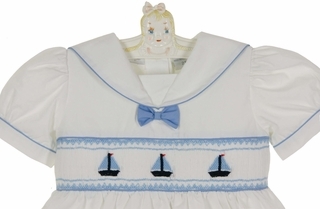 It features a band of white smocking on the bodice embroidered with blue sailboats topped with a blue bow. 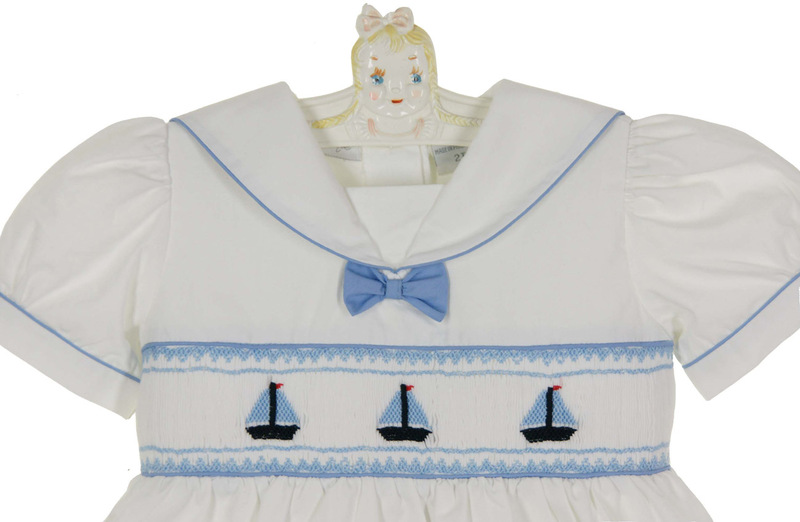 The white sailor collar and short puffed sleeve cuffs are trimmed with blue piping. 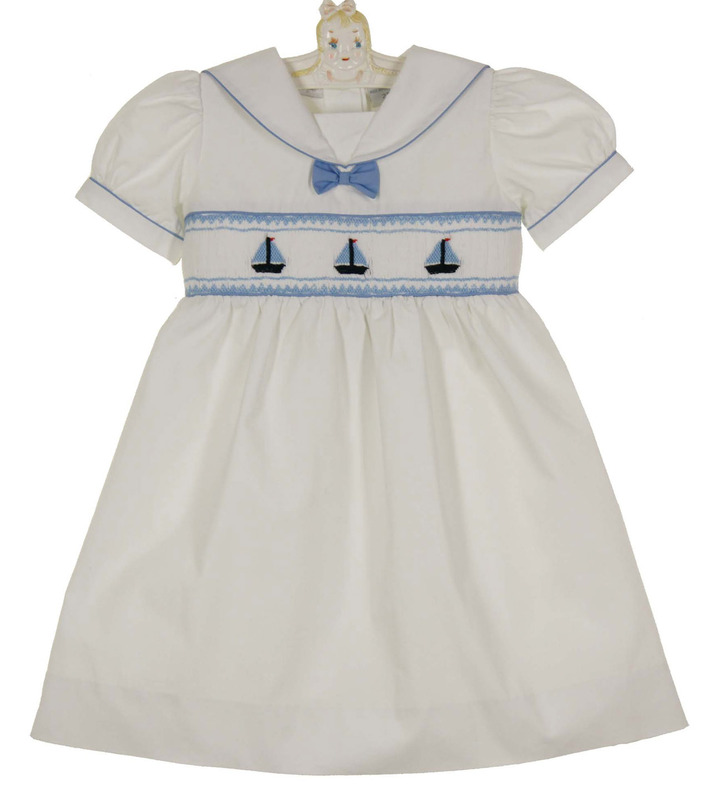 The dress has a back buttoned closure and white ties for a bow in the back. Matching baby dress and baby boys shortall are also available. See below.